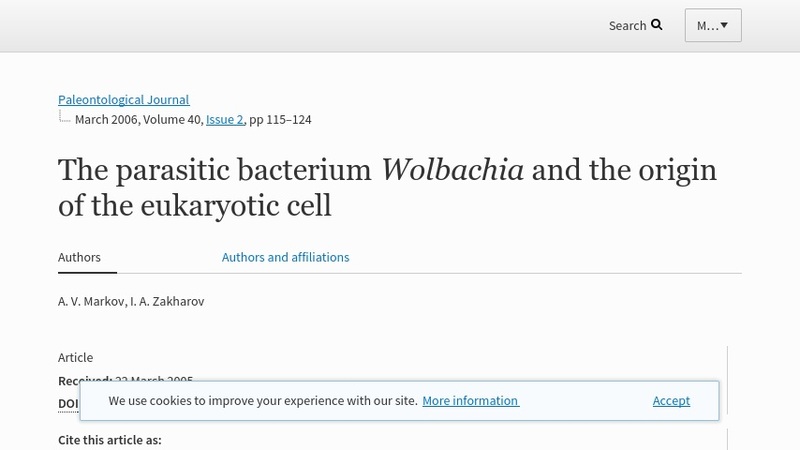 This scientific abstract analyzes the relationships between eukaryotes and alphaproteobacteria, specifically Wolbachia pipientis, as a key in understanding the rise of mitochondria leading to the origin of the eukaryotic cell. It compares and contrasts Wolbachia and mitochondria, leading to a discussion of lateral gene transfer in the evolution of proto-eukaryotes. The full article is available in PDF format and may require a subscription to the Paleontological Journal.